They say, "Work hard, Play hard." 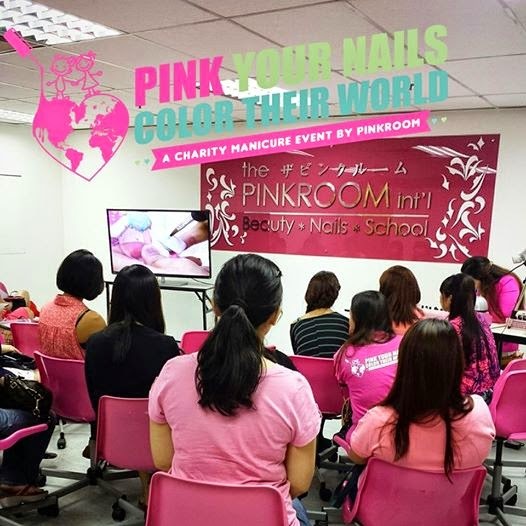 Indeed, we had a memorable day at Pink Your Nails, Colour Their World charity event. I am really really touched that so many of our graduates and students actually make time for the charity event. To the extend of applying leave from work! #super感动 to see everyone get together for a good cause. The event was a great success thanks to everyone of you! 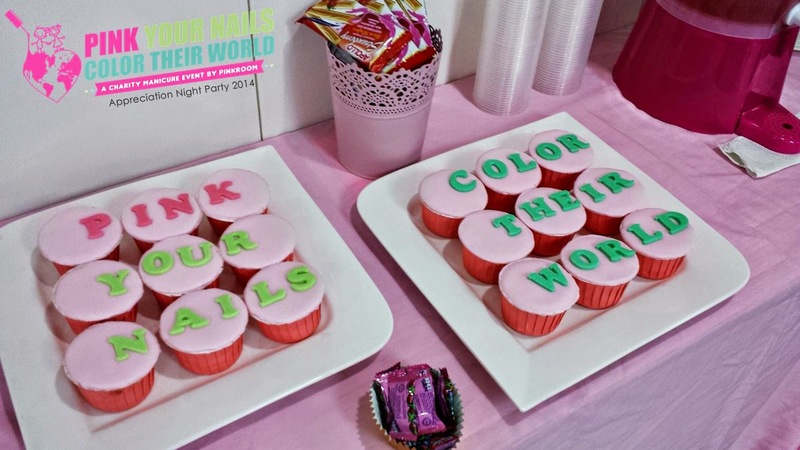 The theme for the night was " Something Pink"~ I reckoned it was be the prefect theme sinow we are Pinkroom!! LOL~ so all the other themes suggested such as retro night and PJ party was cold storaged. And yes, everyone kept to the theme. Haha!! I was actually worried they won't cus not many people actually WEAR pink. So every time I see the students in school, I'll nag them to keep to the theme. Look~ the results was spectacular!! I love you all!!! Glad that our team managed to get food sponsors for the night too~ as it won't feel right to spend on food & celebrations. The money would have gone a longer way to helping the street kids. 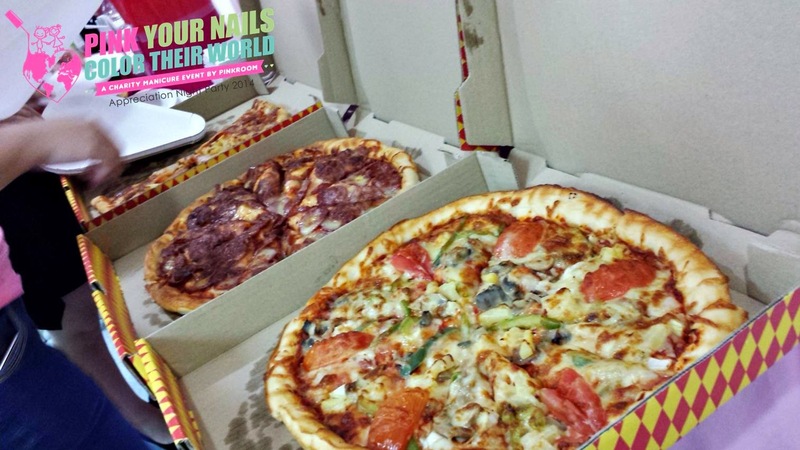 We had cupcakes, traditional kueh from D'cake and pizzas from Pezzo Pizza!! Much loves~ and thankful to the sponsors for bringing the food down to PinkRoom. It was a pity they couldn't join us in the celebrations. We had a nice catch up networking session. Something that we didn't had amy chance to do in the past. Our grads and students have feedback that they enjoyed such sessions, so looks like there will be more to come. I guess it's only during such times that we all put time aside from our busy work schedule and appointments to make time for our friends. 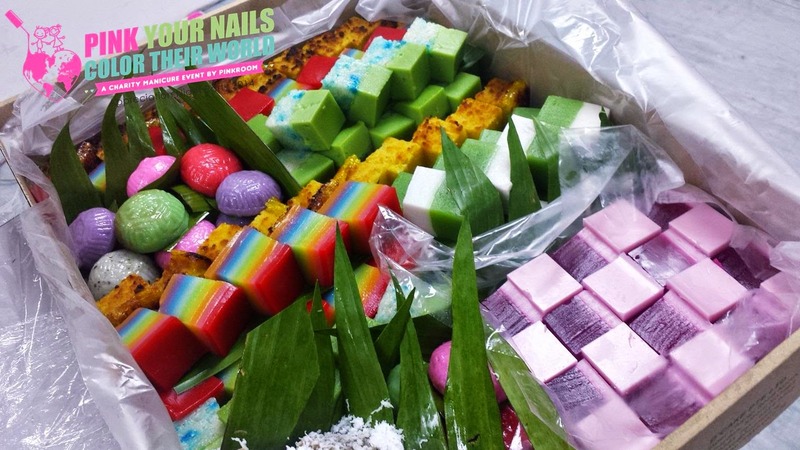 I also shared with our PRINAgals the latest nail trend that is popular in Japan right now! 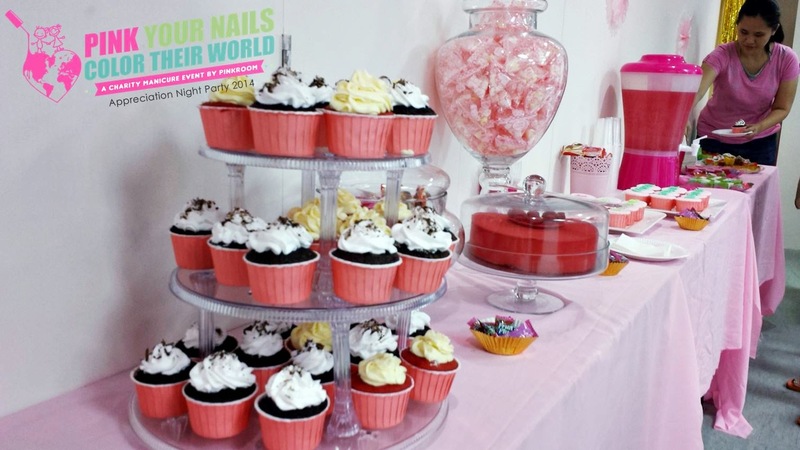 It is always about motivating and inspiring our girls with new and creative ideas so they stay up to date the latest nail trends. Certificates of appreciation were also prepared and given out to students to show our gratitude and as a souvenir for memory. I was glad that all of them had fun that night and I guess the pictures tell it all. They really did had a moment with the selfies and party props. It also reminded me that it is as important to bond with my students and enjoy our time together apart from the lessons in class.